I can honestly say I wasn't a fan of the NFL's decision to begin playing regular season games in London's Wembley Stadium in 2007. First of all, it robbed one of the two teams participating of a home game, and I genuinely thought teams would be playing in front of 15,000 to 20,000 mostly disinterested fans. Fast forward to 2013, with the league deciding to play two games in London each year, and I'm all for it. The games are selling out, it gives crappy matchups like New England vs St. Louis some added intrigue, and it promotes the game in a massive international market. It's a huge win on all fronts for the NFL, but now they're thinking of taking it one step further. My favorite team, the Pittsburgh Steelers, will meet Minnesota at Wembley this weekend and I gotta tell ya, there isn't much else you can say about this game other than "wow, these teams are way worse than I thought they'd be." That's what you get when two teams limp in at 0-3, but the large Steelers fan base and star power of Adrian Peterson still make it an easy sell across the pond. The second London game this year is on October 27th and will feature another one of the league's premier franchises, the 49ers. San Francisco will face a team that better get used to trans-Atlantic flights, the Jacksonville Jaguars, who commissioner Roger Goodell has hinted could play two "home games" in London as soon as 2016. Goodell also reiterated that the league hopes to eventually put a team in London. Speculation as to which franchise would move has gone from the Jacksonville Jaguars, to the Jacksonville Jaguars, all the way over to the Jacksonville Jaguars. Basically, once the Jags start playing two home games in Wembley and those two games out sell their six games in Jacksonville, that's when you may see a move. But is this really the right call? 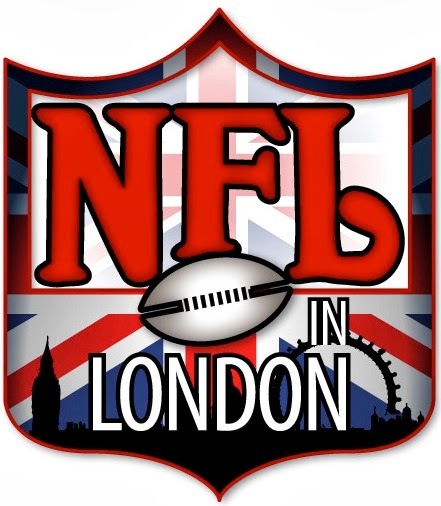 The NFL couldn't sell football with its "NFL Europe" farm system experiment, but found out that giving Londoners the real deal will bring them out to the park. Just because they're not die hard football fans doesn't mean they'll put up with watching Phil Stambaugh hand off to Pepe Pearson every week (By the way, those two were great together with the Rhein Fire in 2001, but that defense just couldn't cut it). Just like Americans, who show up every time Manchester United or Barcelona make a trip to the states, the folks over in Europe still want to see a high-quality game. These one or two games a year have given them that in a small quantity, but would London actually be able to support an NFL team any better than Jacksonville? That's possible, but there is no way it could, in the long run, support an NFL franchise the way Los Angeles would. Moving to London seems more like a prestige gainer and statement to the international sporting community that pro football can be a world-wide game, but getting a team in America's second-largest market, then perhaps putting a team in Toronto or Mexico City would make far more practical sense than forcing at least one team to make a trans-Atlantic flight every single week. So, while I actually admire Goodell's vision on this (I just threw up in my mouth a little), let's reel it in a little bit buddy. Keep playing the games in London each year, and spread the game as best you can without moving a team abroad, at least not until there's a franchise in LA. Even then, can we please just keep it in North America?